Idaho is an all American state that is full of honest and hard working people. Everyone in this state loves to go outside and spend some time outdoors with the beautiful mountain ranges, rivers and lakes that populate this state. Of course so much beautiful nature does lead to some unique weather things that affect Idaho home insurance rates. First of all, in April and May you will certainly start to see many floods all over the state. This is due to high rains in combination with snow melt. If you have a property in a flood zone you will definitely want to get some flood insurance in addition to your home owner’s policy. In addition, as weather gets more severe in the state, the cost of claims for home insurance does go up. This state has the fastest growing rate of claims anywhere in the country. Additionally, like much of the west, Idaho is a state that is primed to go up in flames by the end of the summer time. Over 20% of the whole state is at a high fire risk for part of the year, so you will want to make sure your policy has this type of coverage. Even with all of these natural disaster possibilities, home insurance rates in Idaho are actually pretty low! Would you believe that 1 out of 3 potatoes grown in the US come from Idaho? It’s also known as The Gem State because there are many mountains that have beautiful gems in them including gold, silver, garnet, opal and jade among others. The cheapest place in the state for Idaho home insurance is Pocatello. This is a city of about 50,000 people which is in the southern portion of the state. The winters are long and cold with plenty of snow and ice. The summers are hot and dry, with not much precipitation. Interestingly enough, more than 75% of the population of this town is Mormon. The second cheapest place for Idaho home insurance is Twin Falls, which is close to the spot where Evel Knievel tried to jump over the Snake River on his motorbike. Twin Falls has some lightning storms in the summers, but winters are the simple snow and ice and summers are usually quiet besides some electricity. Well those who live in some other areas will not be as lucky. Ketchum has a more expensive rate than anywhere else for Idaho home insurance. It’s a tourist town that has people visiting from all over to go skiing in the winters and hiking in the summers. McCall is another place in the state which has high home insurance rates. Coincidentally it’s another tourist hot spot where people come for recreation and fun. Both places have a bit of an elevated crime rate, possibly due to the influx of new people on a daily basis. The differences between the cheaper places and the more expensive places for Idaho home insurance is only $200. So even if you live in one of the more expensive places you won’t be crying too much because it’s not much more expensive than the cheaper places. 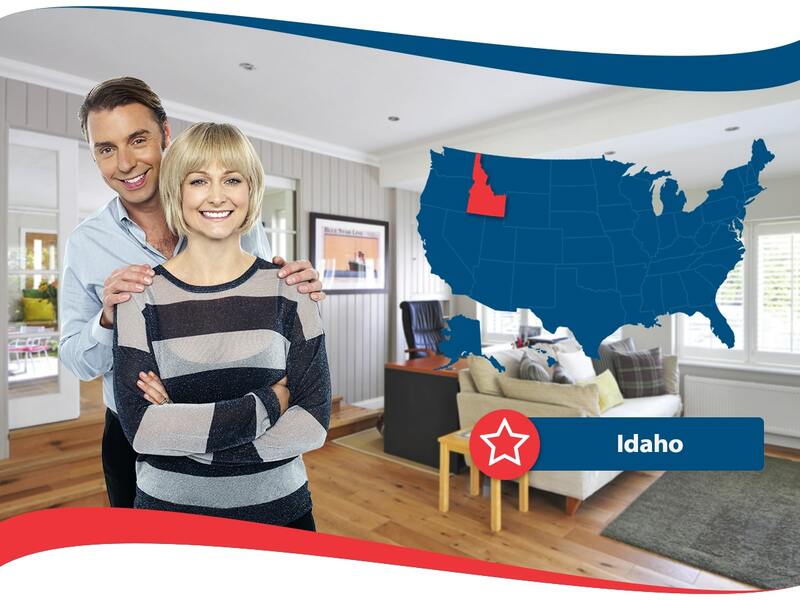 Idaho is a great state and you will definitely be enjoying yourself more when you have home insurance and know you are covered under a comprehensive plan. There are many major companies that provide Idaho home insurance. These companies include Allstate, Farmers and State Farm. however, there is also a local bureau that will provide you with specialized coverage from people who know what Idaho residents really need. It’s called The Farm Bureau Mutual of Idaho and it will give you access to special deals on certain brands of cars and identity theft protection. They definitely have you in mind and want to work hard to make sure you have everything you need as it pertains to Idaho home insurance.